We have seen this at Computex 2018 last June – Gigabyte’s Aorus RGB DDR4 Memory Modules. They look like the “typical” DDR4 RGB memory; with nice colorful RGB LED bars and a clean looking heat sink. But what caught people’s attention is that Gigabyte is offering a “dummy” module that can be inserted together with the real functional module just to populate all DIMM slots. Most mainstream motherboards have dual channel memory configuration; you only need to install 2 memory sticks. And it’s quite expensive to get another (functional) DDR4 just to populate all DIMM slots. Besides, RGB lighting effects doesn’t look good when there are only two memory slots installed. 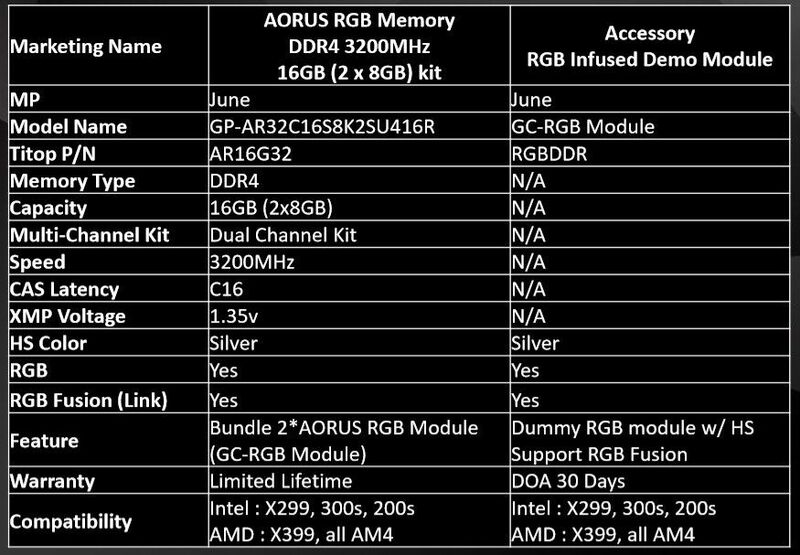 And this is what Gigabyte is offering with their new RGB Memory module. It’s actually an accessory “RGB Infused Demo Module”. I’m not sure if there were others who have done this before, but as far as I know Gigabyte is the first to offer this kind of accessory. Check out more details from the official news release below. GIGABYTE introduced its AORUS RGB Memory at Computex 2018, garnering much praise among the media and receiving Best Product awards from U.S. based Tom’s Hardware as well as U.K. based TechRadar. AORUS RGB Memory Modules feature aluminum heatsinks with anodized hairline surface for a sleek, metallic look. 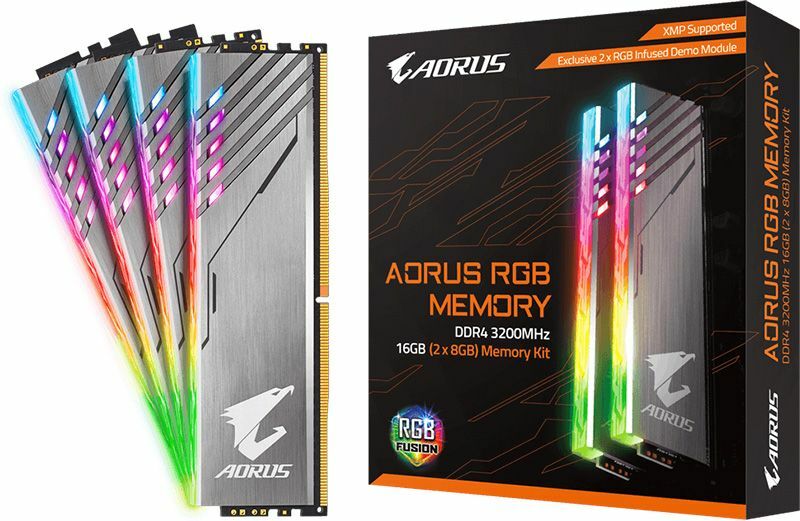 A standout feature of AORUS RGB Memory is the addition of 2 brand exclusive RGB Infused Demo Modules for pure RGB illumination and lighting effects. This feature makes it completely unnecessary for the user to purchase a completely different set of memory modules with RGB functionality to fill out the DIMM slots of the memory configuration, without affecting their budget. Users can now add RGB Infused Demo Modules to their boards to enjoy a full memory configuration packed with RGB brilliance. The Gigabyte Aorus RGB Memory will be available shortly, probably in a couple of weeks or so. Gigabyte hasn’t disclosed its manufacturer’s suggested retail price yet.